Arlington Heights police have released a sketch of an adult male “Disorderly Conduct” suspect who may have attempted to lure a teen female high school student into his car, and committed Disorderly Conduct by following her, staring at her, and — as a stranger — asked the female teen juvenile if she wanted a ride. The incident is reported to have occurred on Wednesday, January 23, 2019 at about 3:55 p.m. Attempted Child Luring and Disorderly Conduct suspect Arlington Heights. Arlington Heights police received a report Wednesday afternoon January 23, 2019 that a female student, age 15, from Prospect High School was approached by a suspicious motorist as she was walking from Prospect High School to a destination via Phelps Avenue. Police received a report that the incident occurred Wednesday January 23, 2019 at approximately 3:55 pm. The area of the incident is described as west of Prospect High School near eastbound Kensington Road, Phelps Avenue and Miner Street. Allegedly, the male motorist passed the female teen 8-9 times, and asked her where she was going. The male suspect also offered her a ride. The victim declined the ride offer. The male offender then continued to follow the female teen for another two blocks before driving away. The male also rolled down the window of his vehicle and stared at the female teen for a prolonged time before leaving the scene. 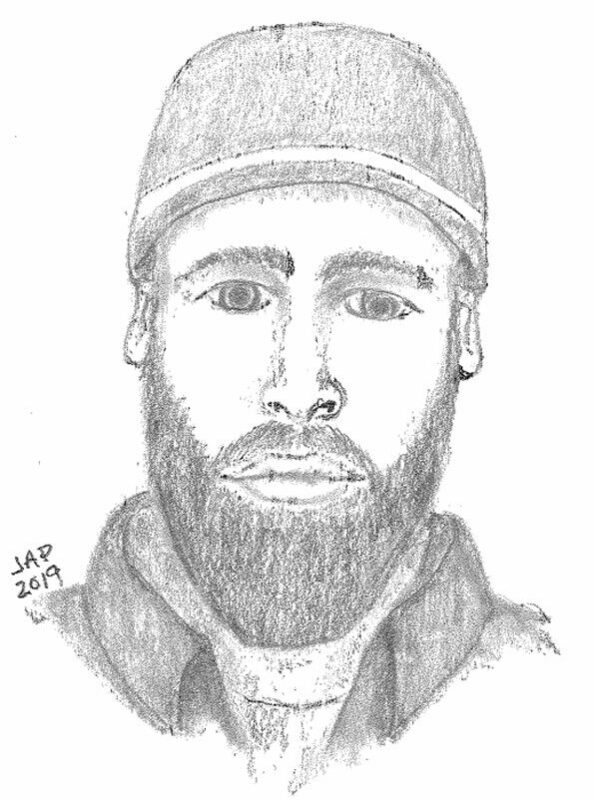 The driver is described as male Caucasian, 20-30 years-old, with dark brown hair, a moustache, with a lengthy, manicured brown beard, no glasses, and wearing a dark blue beanie cap or skull cap, a black or dark colored heavy canvas work type jacket. 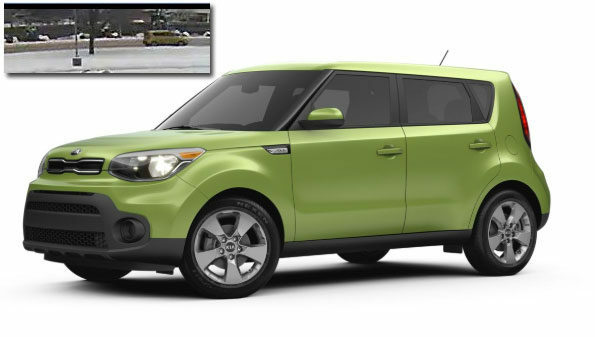 The driver’s vehicle was described as a tan/yellow Kia Soul 4-door hatchback. 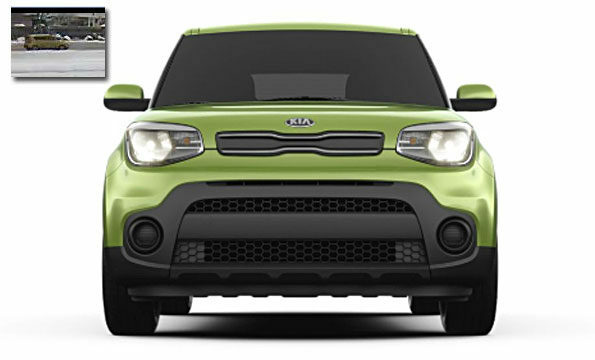 The weather was overcast at the time of the incident, so the color of the Kia Soul may have been “Alien 2 Green” which might not display the green tint as brilliantly as on a sunny day. The license plate is initially unknown. Kia Soul Side View with Security image Arlington Heights suspect vehicle Attempted Child Luring. Kia Soul Front View with Security image Arlington Heights suspect vehicle Attempted Child Luring. 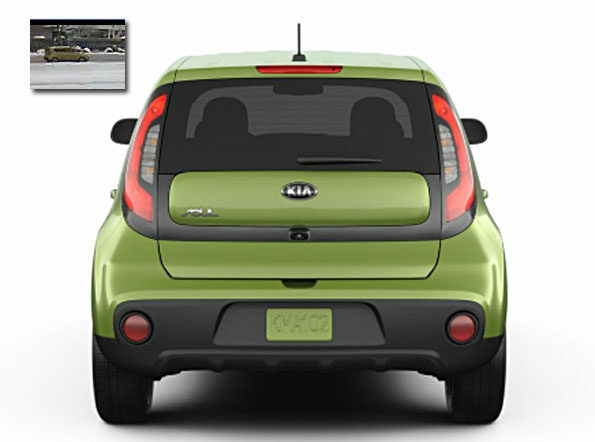 Kia Soul Rear View with Security image Arlington Heights suspect vehicle Attempted Child Luring. The student informed her parents of the interaction with this man and the parent contacted the Arlington Heights Police Department. Windsor families and District 25 families were sent an email alert with details of the suspicious incident. The Windsor alert and the District 25 alert reminded parents the importance of taking the time to talk with children about Stranger Danger and the importance of immediate reporting of any incident to an adult and to the police — as was successfully completed by the student victim and her family. It is recommended that kids walk in pairs or small groups whenever possible. Windsor Elementary School and District 25 included a flyer attachment (see below) which reinforces the rules of personal safety, that is meant to be discussed with children. 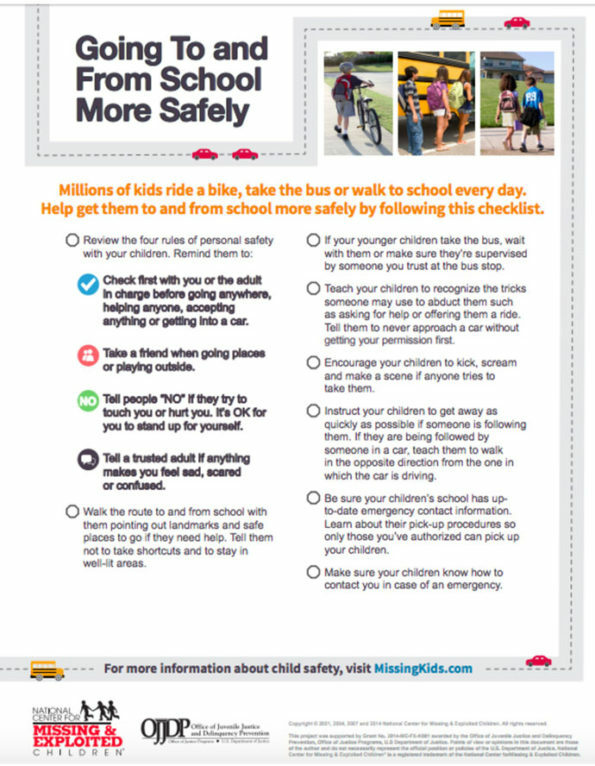 MissingKids.com Flyer: Going To and From School More Safely.